Choose cuisine and gastronomy related holidays in rural Greece and you’ll find communities where time has stopped, tradition, culture survive and cuisine takes centre-stage in people’s lives. 1000.gr invites you to a cooking and wine journey in Greece where cuisine is sustainable and home-made – the way it’s always been – where almost everyone owns a little plot of land, keeps their own hens and goats, and grows their own vegetables. 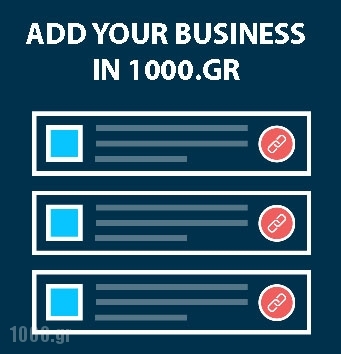 1000.gr proposes the top cuisine and wine holidays to invite Greece to your table and Kali Orexi ! 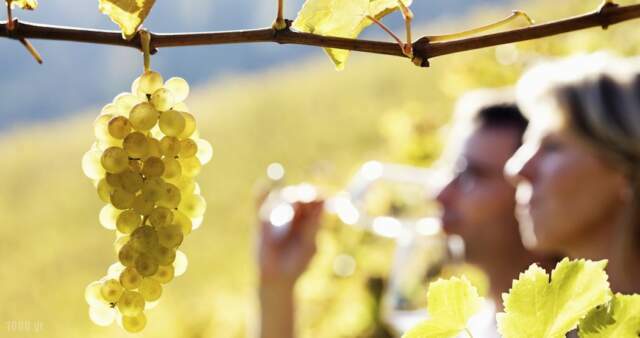 Do you have a wonderful recipe or a cuisne and wine destination in Greece that you’d like to share? We would love for you to upload it and share it via our sharing or social pages. The culture of Greece has evolved over thousands of years, making it one of the hallmarks of western civilization, home to some of the greatest art and philosophy the world has ever known, and a truly remarkable destination for a gastronomy or wine vacation. The Greek territory comprises the mainland and thousands of islands scattered in the Aegean and Ionian Sea, offering amazing beaches and inlets, and waters so colorful and clear they defy description. Greek cuisine is an example of the healthy Mediterranean diet, featuring fresh ingredients such as fish, olives (including olive oil), fruits and vegetables. Visitors can explore and taste traditional dishes of Greek cuisine during their cooking lessons—moussaka, stifade, Greek salad, spanakopita, souvlaki, and more—and explore the culture and natural beauty of gorgeous country. During your Greek cooking vacation it is also possible enjoy retsina (white or rosé wine sealed with pine resin), delectable dips (such as tzatziki), fresh cheeses, dolmades, and of course olives and fresh seafood! Your Greek cooking vacation might include visits to local islands, to world-famous archeological sites, or to stunning Mediterranean beaches. Of course like the majority of cooking vacations, it will feature hands-on cooking lessons with delicious Greek dishes, fascinating excursions, wonderful accommodations, and memories to last a lifetime. Since the 1990s, Crete has been a leader in the promotion and revival of traditional Greek cooking and ingredients. The bistro-deli Bakaliko, in the central square of Arhánes village 14km south of Heraklion, offers light sit-down menus as well as local products to take home – wine, raki, the rusks much loved across Greece, olive oil and paste, carob products, cheese, charcuterie and more. It also runs single-day cooking courses (9.30am–3pm) each Tuesday from May to October inclusive. Crete’s fertile soils and hot sunny climate produce some of the best olive oil in the Mediterranean. The Mourtzanakis Residence, set in the hills just a 10-minute drive from Agia Pelagia on Crete’s north coast, runs five-day Olive Oil Harvest trips through autumn. 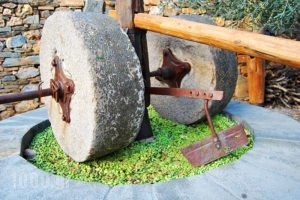 This includes working in the surrounding olive groves, delivering sacks of olives to the mill, watching the oil pressing, an oil tasting seminar, and a cooking seminar using virgin olive oil and other local produce. After a hard day’s work, bracing mountain air and a tasty supper, you’ll be guaranteed a good night’s sleep in one of their peaceful studio-apartments or villas. 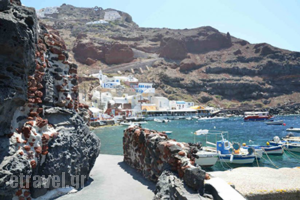 Santorini is the other Cyclade with a notable local cuisine, relying on indigenous white eggplants, fáva (split yellow peas, not the sound-alike broad bean), baby tomatoes, caper greens, cheeses, and sausages from neighbouring islands. Yiorgos Hatziyannakis, head chef at Pyrgos village’s acclaimed Selene Restaurant and Bistro, has been instrumental in the revival and promotion of traditional island cooking. Selene offers three foodie experiences. The most popular is a guided folklore museum visit, short cooking demonstration and set bistro menu. There is also a one-day hands-on cooking course (every Thursday from 10.30am) at the upstairs restaurant. For more general advice on searching and booking a holiday in Greece, see our directory pages or subscribe to our Newletter.